Join us in February the month of love and lust where The Virgin of Guadalupe meets Spalsh! Our muse of the month, Nelli Scarlet embodies her name with scarlet lips and ludicrous glamour. Invoking the colour of her blood red name, Nelli commands the stage with her endless long legs, red lips and killer hips. Nelli Scarlet is passion, heat, joy and lust with experience both on stage and behind the scenes she has toured the world dominating clubs in Euphroe to Etihad and Rod Laver arenas. 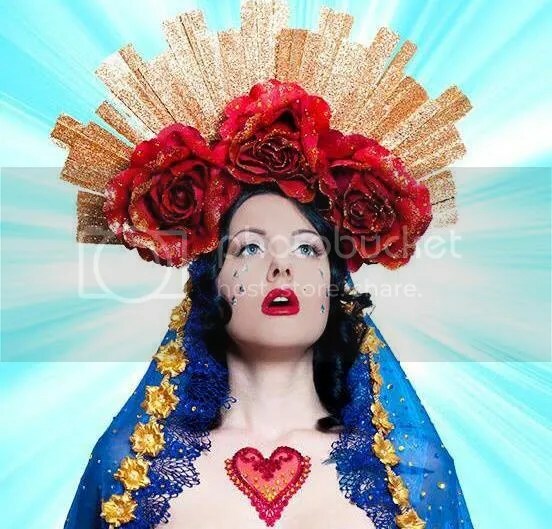 Appearing as the face of Sydney’s Burlesque ball and Ruby Revue Nelli moved too Melbourne, and began working as MC and has since transitioned from introducing the acts, to being the acts.